GRAND RAPIDS — Summer can often be a time when businesses see spikes in energy usage as everyone tries to stay cool. Business owners, facility managers, energy managers and other professionals interested in reducing energy costs — in the summer months and all year long —are encouraged to attend a Lunch & Learn on June 26 organized by U.S. Green Building Council West Michigan. Alfred Hildreth, Global Energy Manager at General Motors Company, will discuss how GM’s commitment to the environment and sustainability applies to every part of the business, from supply chain to product manufacturing to the vehicles they put on the road. John Nametz from Consumers Energy will discuss how to increase your rebates by using equipment made in Michigan, combining projects for multiple measure bonuses or partnering on special programs like retro-commissioning and smart buildings. 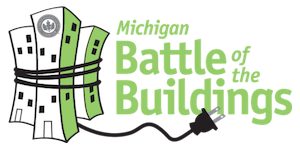 Sean McCoy from DTE Energy will discuss how you can leverage rebates on efficiency upgrades and new construction projects. The event is $15 for USGBC members and $20 for non-members. Lunch will be provided. The USGBC West Michigan Chapter, organized in 2004, is one of 70 chapters that operate as licensed separate non-profits across the United States. The mission of the USGBC West Michigan Chapter is to transform the way buildings and communities are designed, built and operated in a way that improves the quality of life in West Michigan. Learn more at usgbcwm.org. The U.S. Green Building Council (USGBC) is committed to a prosperous and sustainable future through cost-efficient and energy-saving green buildings. USGBC works toward its mission of market transformation through its LEED green building program, robust educational offerings, a nationwide network of chapters and affiliates, the annual Greenbuild International Conference & Expo, the Center for Green Schools and advocacy in support of public policy that encourages and enables green buildings and communities. Learn more at usgbc.org.